There has never been a better time to become a naturopathic doctor. Request information today so you can get started on a career that’s not just a job, but a passion and a calling. Naturopathic medicine is a distinct system of primary health care that concentrates on whole-patient wellness while emphasizing prevention and the process of self-healing through the use of natural therapies. Naturopathic medicine attempts to find the underlying cause of the patient’s condition rather than focusing solely on symptomatic treatment. Naturopathic physicians are clinically trained primary care physicians who have graduated from a four-year naturopathic medical school. They work with patients in all aspects of family health to identify the underlying causes of disease and provide evidence informed therapies to help facilitate the body’s ability to restore and maintain optimal health. Receive information from the accredited schools of your choice located across North America. Want to uncover the root of Naturopathic Medicine? Check out the FREE introduction to Naturopathic Medicine eBook! 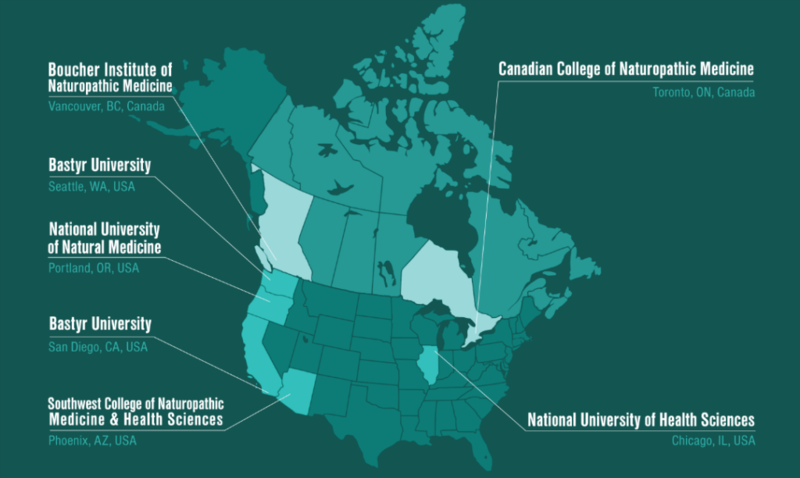 Whether you’re considering a career as a naturopathic doctor, currently enrolled in ND school, or a practicing ND, this is where you can learn more about the field of naturopathic medicine. Get regular updates on state licensure and other public policy initiatives, links to informative articles, and breaking news on the latest research and activities of movers and shakers in the field of integrative medicine. “I didn’t want to be one of many clinicians shuffled through the system. I wanted to feel like I was, and am a pioneer in a field that is truly guiding the way of the future.” Learn more. AANMC’s accredited naturopathic schools meet both federal and academic standards. Explore all AANMC member schools to discover the unique qualities of each institution. Never miss our latest news, resources, and event invites. Perfect for prospective students, current students, school advisors, and professionals in the naturopathic field.